Ken Morrison of Radio Kidnappers – The Voice of Hawkes Bay and Heiko Lade interview Hamish Reid, a well known registered acupuncturist in Melbourne specializing in the treatment of musculo-skeletal disorders. 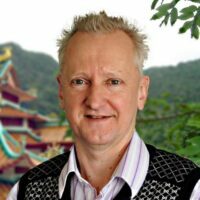 Hamish Reid is a sought after lecturer and work shop presenter in Australasia and will be presenting for the first time in Christchurch on the 1st December 2018. Tune into Radio Kidnappers on the 20th November at 11am and listen to Hamish Reid talk about combining ancient needle techniques with the most modern and advanced needling methods based on neuroanatomy. 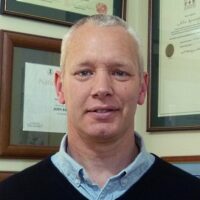 Hamish explains how traditional acupuncture concepts relate to the modern scientific thinking and how this knowledge can be used to enhance clinical outcomes in the treatment of injuries and chronic joint problems. Hamish is just as comfortable lecturing to registered acupuncturists as he is talking to the lay public.